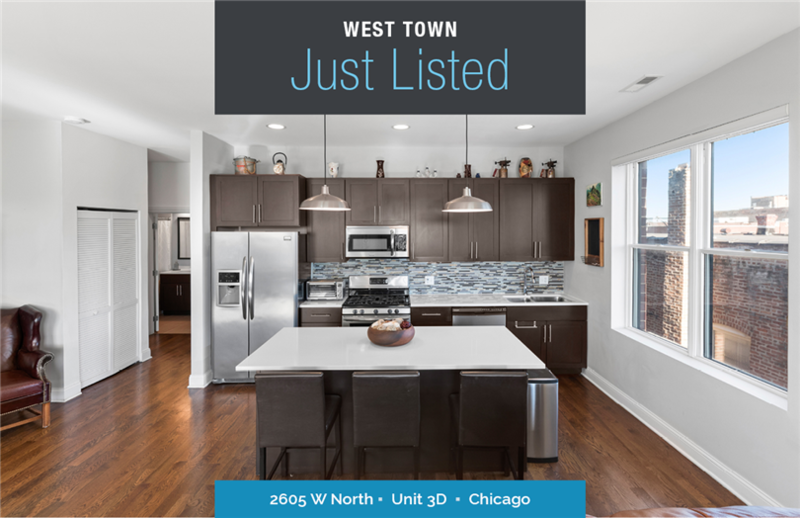 Pristine, spacious, like new condo in awesome West Bucktown/ East Humboldt Park location just 1 block west of Western on booming North Ave. Seller has impeccably maintained this four-year new unit leaving it in like new condition. Smart Phillips HUE lighting (over 25,000 colors) combined with Google system & NEST. Just two blocks from the 606 trail & expansive Humboldt Park make it perfect for the urban explorer. Coffee shops, restaurants, boutiques, transit, nightlife, and Wicker Park 6 corners are all right outside your door. This unit is in a boutique ELEVATOR building with garage parking for one car. The bedrooms are huge and the master has a giant walk-in closet with en suite, gorgeous bathroom. Lots of closet space throughout the unit. This top floor unit has roof rights, but they have not built it out yet. Work with the other residents to do it and catch the amazing views! Beautiful, bright, spacious, and contemporary. Rear Facing unit overlooking the neighborhood - VERY Quiet!